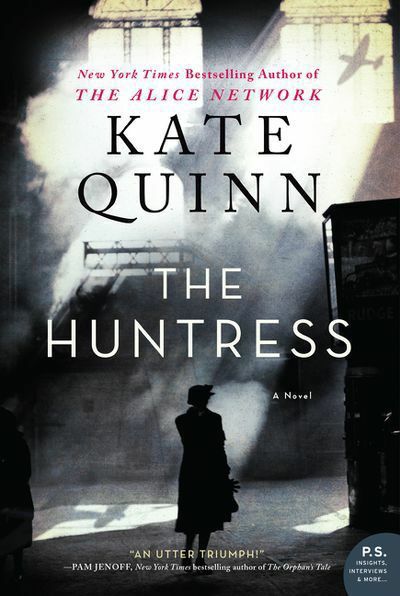 Author Kate Quinn's previous novel, "The Alice Network," was about a female spy network in World War II France that helped the Allies defeat the Germans. It was a best-seller and even today still resides on the paperback best-seller list. Her new novel, "The Huntress," is also partially set in World War II. Following the war, Ian, a Brit, and Tony, an American, have teamed up to find Nazis who have escaped punishment for their crimes. They are looking for a Polish woman known as the Huntress, who is known to have slaughtered innocent children. Nina is a Russian woman who escapes her hardscrabble life to join a cadre of female fighter pilots. The most interesting parts of this big, sprawling novel deal with Nina's experiences as a fighter pilot. The Russians created a team of all-female fighter pilots who had to work twice as hard as the male pilots to prove themselves worthy. Nina found a family among these women, and the descriptions of their battles is heart-pounding on the page. Nina has personal reasons for wanting to find the Huntress, and joins up with Tony and Ian, who have a lead that the Huntress may be hiding in America. They turn the tables on the Huntress, as she now becomes the hunted. In a small Massachusetts town, a teenage girl named Jordan is happy that her widowed father has finally found love again with Anna, an immigrant widowed mother of a young girl. They have become a happy new family, but something nags at Jordan about her stepmother. All of these stories intersect in an intriguing way, and Quinn certainly knows how to ratchet up the tension in this thrilling story. Sharp-eyed fans of "The Alice Network" will recognize a cameo appearance by one of the main characters from that novel. Lisa See's novel, "The Island of Sea Women," is set on Jeju, an island off the coast of Korea. Young-sook and Mi-ja are best friends who are learning how to become divers, like Young-sook's mother. In their culture, the women are the breadwinners of the family, while the men stay home and take care of the young children and the home. Diving for fish (abelone and octopus are prized) can be dangerous, and the women work as a team to keep each other safe, but accidents do happen. Young-sook becomes betrothed to a teacher, but she is jealous that Mi-ja has captured the attention of a handsome businessman who lives in the city. Young-sook and her husband happily welcome three children into their lives. Mi-ja and her husband have a son, but Mi-ja's marriage is troubled. "The Island of Sea Women" begins during the Japanese occupation of Korea, and the people of Jeju fear the soldiers. When the Korean War begins, their country is torn apart as Russia and China back North Korean communists and the United States back South Korea. See describes what became known as the 4.3 Incident, where Koreans massacred their own people, including many people on Jeju, while the Americans did nothing to stop it. It is told in horrific detail, and the losses suffered by Young-sook cause a permanent fracture between her and Mi-ja. The book begins and ends in 2008 as a family of Americans have come to Jeju, now a popular tourist destination. A family of four are looking for anyone who knew a family member who used to be a diver on Jeju. Young-sook avoids the tourists in general, happy to just spend her time on the beach, but this family, particularly the teenage daughter, is persistent. 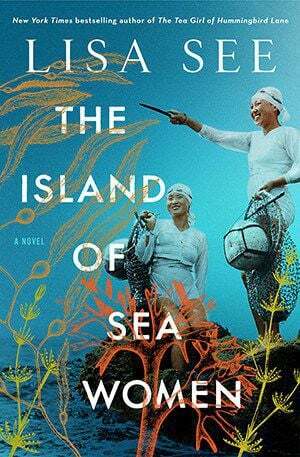 "The Island of Sea Women" is the kind of book you get lost in, taking the reader to an unfamiliar world. See clearly did a great deal of research to create her brilliant novel (as her acknowledgments pages attest), and it adds to the authenticity of the story. It is an emotional book, one that will bring tears to your eyes as you read about the inhumanity people inflict during war. But at its heart, it is a story of the friendship of two girls and what happens when that friendship is tested. This is a must-read book. Diane La Rue is a member of the National Book Critics Circle and blogs about books at http://bookchickdi.blogspot.com. You can follow her on Twitter @bookchickdi, and she can be emailed at laruediane2000@yahoo.com.